While it might sound like a nifty idea to connect scientists around the world to share data and projects, it’s probably time to take ResearchGate more seriously. That’s what Bill Gates and Tenaya Capital are doing, by putting a $35 million Series C round into the Berlin-based startup. 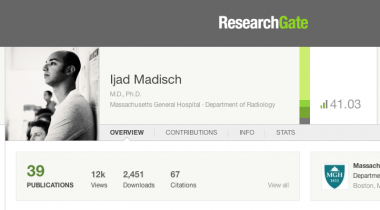 ResearchGate isn’t a significant business yet — for now, it just runs a job board — but it is starting to have a significant effect on how some scientists do their work and make discoveries. The company has 2.9 million members, and a growing pile of successful collaborations. For instance, an Italian pathogen researcher, Orazio Romeo, wasn’t able to go on a data collection trip, due to budget cuts, and through ResearchGate he connected with a Nigerian scientist, Emmanuel Nnadi, who had a pile of relevant samples but no equipment to analyze them. Together they’ve published several papers and recently discovered a deadly new type of yeast. 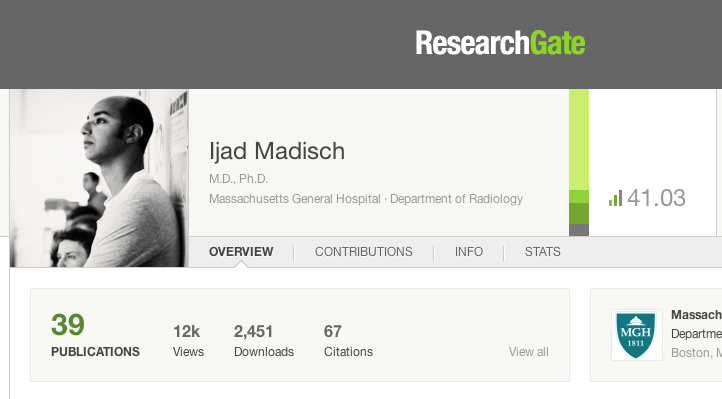 ResearchGate CEO Ijad Madisch, a medical doctor who researches viruses, said he’s most gratified to see that scientists are now sharing their failed datasets and negative results — not just their positive results that get accepted to peer-reviewed journals. “I’m sure we would have had much more scientific breakthroughs if we had shared all the data sets we had made in the past,” Madisch said. That was the appeal to Gates, as well, Madisch said, and in particular that ResearchGate was a “lifetime project” and not some built-to-flip startup. So what’s all the money for? Three things, Madisch said: First, improving its scientific reputation algorithm, and second, opening an API, so people can build more apps to help scientists collaborate. Third, becoming a paid marketplace for scientific products and services — that’s the larger intended business model. Today, ResearchGate has 100 employees. It was previously backed by Benchmark Capital and Accel Partners. News of the new round — but at a lower amount — had first broken in the German Wall Street Journal. Competitors include Academia.edu, which has raised $6.7 million from investors including Spark Capital and True Ventures.